A secure construction site has never been more important. Development and general construction sites can present significant risk to the public (particularly children) if they are not secured sufficiently, this can also leave the developer or builder exposed from a risk perspective. Increasing requirements to keep workers safe while on construction sites is also adding pressure to increase visibility around sites to ensure ongoing compliance with occupational health and safety requirements. Building site theft is also a very good reason to invest in site security. A broad range of options are available to reduce the likelihood of your expensive equipment, tools or building materials going missing. It generally only takes once instance of site theft for the return on investment in some site security to be realised. 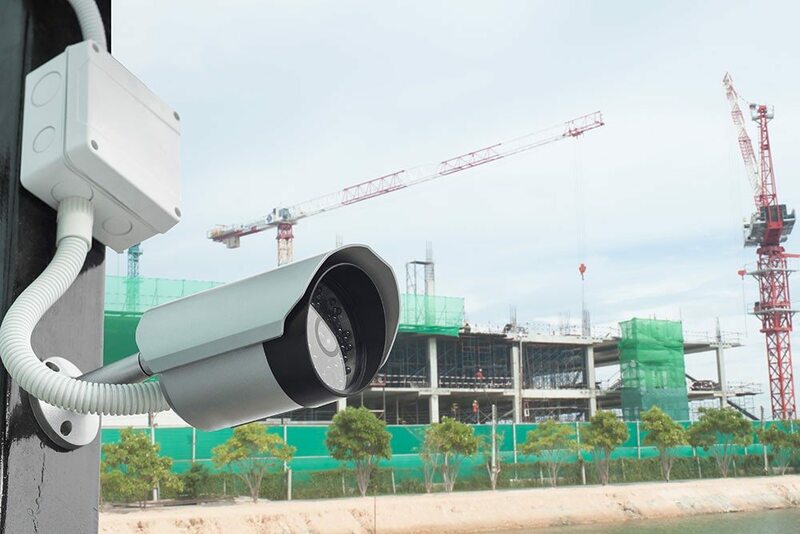 Construction site security can vary from a few CCTV camera’s to a full blown site security strategy with a mixture of static guards and sophisticated security solutions encompassing mobile camera solutions with perimeter monitoring and fence vibration monitor configurations. Many construction sites are a living beast, they’re constantly changing environments with highly skilled (but often overworked) project managers juggling dozens of trades trying to have the most efficient path to a great outcome for their client. The combination of a temporary camera solution and a proactive security maintenance partner are perfect for the shifting nature of construction sites. Often powered through solar to battery power, these units are stand alone and adjustable to cover high risk site locations and come with full wireless access with cloud based video storage to ensure the retention of all footage. They’re also generally far more cost effective than installing systems onto existing infrastructure due to their portability. 360 Secure has worked closely with some amazing developers and builders in recent times to provide solar powered temporary camera solutions. Camera systems aren’t just amazing for the monitoring of locations, they also have the deterrence factor. When potential thieves know that a location is covered by high quality and professionally installed camera systems they’re far less likely to target a location. Permanent CCTV systems should be obvious and well signed to ensure that anyone walking through the area or considering stealing from site are warned. When setup effectively good camera systems can also monitor and alert for specific behaviour by people being monitored, we’ll cover more on the Artificial Intelligence and behavioural monitoring shortly. Perimeter fencing is an obvious requirement for construction project sites, not just for security, but for safety purposes it’s imperative that adequate fencing has been applied. This is highly regulated in all states to ensure safety of the public around sites. It’s absolutely possible to take this perimeter security one step further by implementing perimeter monitoring. By implementing this type of control on a construction site you can have a high level of confidence that no-one will be entering the site without you knowing about it. 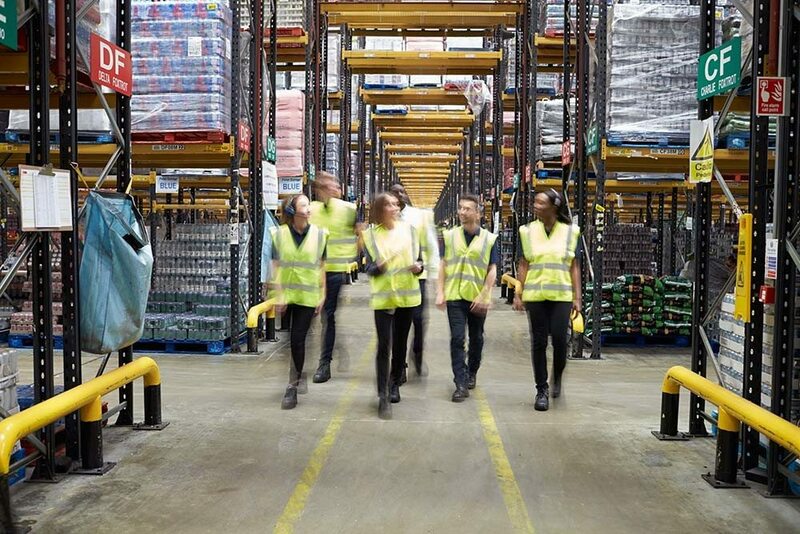 These solutions are often used in high value warehousing situations where the contents of the warehouse are or particular interest to potential thieves. Other use cases are for tool and equipment cages, which reduces the cost of implementation significantly, but add a technology control that will make any insurance company happy. The biggest advantage that a criminal can use against a construction site is darkness. It’s very difficult to get a perfect image of someone who is able to use to cover of darkness to approach their target. This advantage isn’t difficult to remove… just add light! There are almost limitless options with regards to site lighting, most commonly this will look like some very effective lights positioned strategically around the site. There are also more and more lighting stations becoming available to hire from construction hire businesses. These have some great results at a very reasonable pricing point for the industry. Lighting will also assist CCTV Systems in identifying thieves for later prosecution. Time lapse video’s are not only an amazing way to capture the general activity on a construction site, they can also be used to monitor behaviour of trades to ensure compliance with required work habits. By refining the frequency of images being taken it’s possible to get a great snapshot of work activity within certain site locations over a longer period of time. A number of the above solutions can also be used for other purposes on site. The time lapse camera solution is a perfect example of this. Many companies, developers and builders will use timelapse footage to add to progress and building reports, its very difficult to argue against a timelapse footage video. Time lapse can also make a huge impact throughout marketing collateral and is becoming a high value item for estate agents looking for something to differentiate the property in an increasingly tough market. 360 Secure provide high quality (DSLR) time lapse capability to the construction and development industry. 360 Secure work closely with a number of developers and builders to design, install and maintain site security and monitoring equipment. One of our amazing clients, Sekisui House is the developer of West Village in Brisbane’s West End. With eight contemporary apartment buildings, a Woolworths supermarket, a diverse mix of galleries, boutiques, traders and merchants interlinked by vibrant laneways, West Village is a key client of 360 Secure and we’re very proud to partner with them. Sekisui House is a great advocate for the work that 360 Secure has completed for them as their selected security partner. If your construction or development business would like to discuss further options with respect to site security please contact our team, we’re more than happy to provide some insight into what other developers are doing to ensure their important assets are being protected as much as possible. 360 Secure is an installer and security maintenance provider with extensive experience in construction, retail, warehousing, commercial and residential applications. We also provide Managed IT Services Brisbane and Australia wide.